Caution: contents are delicious! 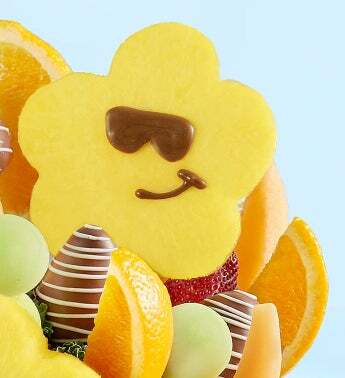 Our sizzling sweet treat brings the fun & yum, with daisy-shaped pineapples in sweet sunglasses. 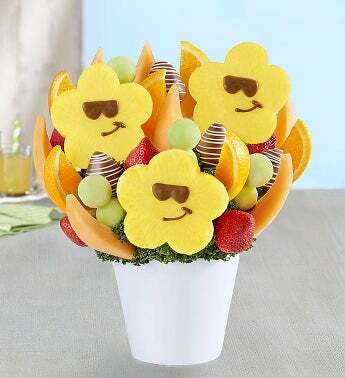 Juicy strawberries, oranges and melon get into the mix, making this fun fruit creation the most unique & tasty one under the sun.